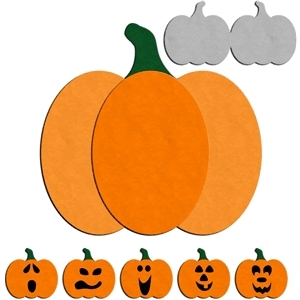 Layered pumpkin card for fall, Halloween or Thanksgiving. Includes optional jack-o-lantern faces. For questions or suggestions about this design or others by Kenzie Daley, post them at www.3under3andmore.blogspot.com or on the Daley Designs facebook page.